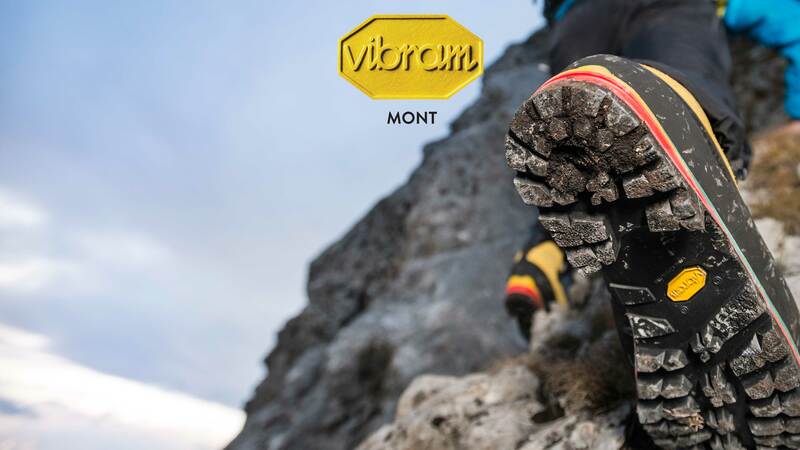 Vibram MONT compound formulation is optimized for mountaineering, trekking, acrobatic works, and motorbike racing. Vibram MONT is used to conquer the highest peaks in the world. Vobram MONT compound offers the highest reliability on the most difficult terrains at low temeratures. Its firm hardness value is a key factor for crampons compatibility for use on snowy and icy terrain. Due to its extreme durability Vibram MONT is also widely used for motorbike soles.